Commercial grade premium scratch resistant satin finish. 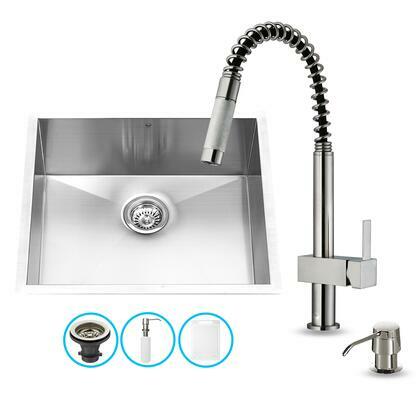 Features single function spiral pull-out faucet head with power stream. 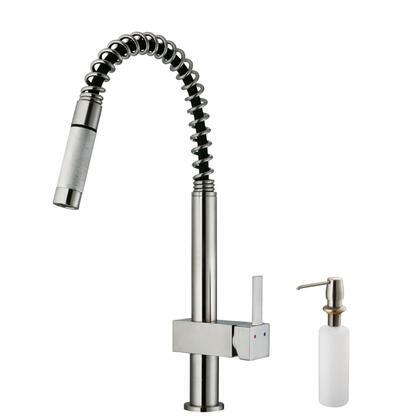 Includes an aerator that resists mineral buildup and is easy-to-clean. I bought this 2 months ago and I am so happy that I did. Love the sleek look! Well built. Good finishing. Solid sink. 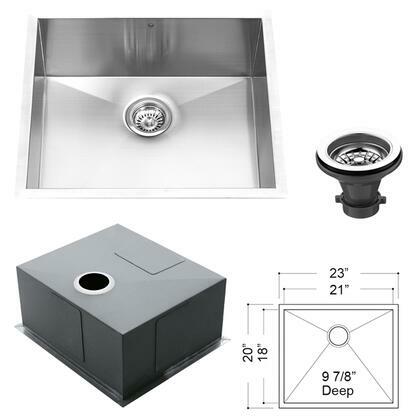 Perfect size for an outdoor kitchen. Really pleased with the look of the sink. A good price, as well. An architect friend recommended this sink and I've already thanked him - it is fantastic-looking and a good value for money. 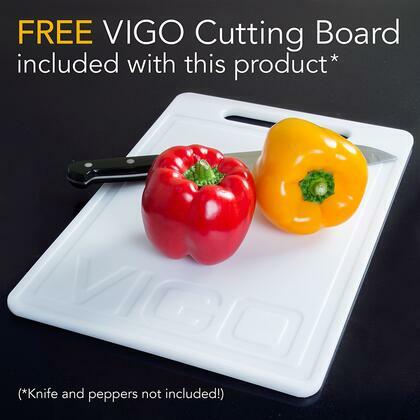 Beautiful design, durable and easy to install work well in a modern kitchen style. 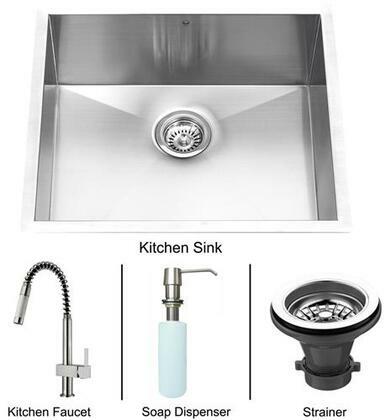 We renovated our entire home and searched online for a sink knowing I had limited space (not a large kitchen). VIGO had several options. Bought the sink at end of January 2015 and just installed (August, 2015 - yet a lot of set backs with reno!). 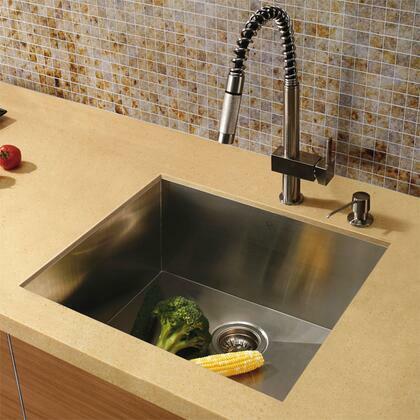 Anyway this is a wonderful looking sink and is very functional! 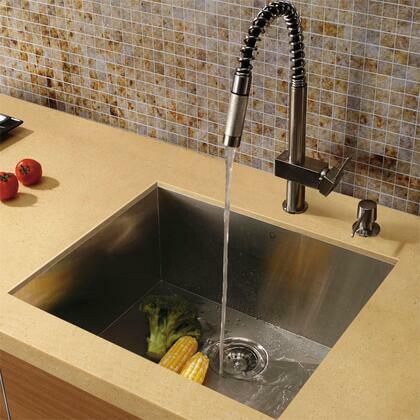 Nice and deep for large pots and faucet is just awesome! Would highly recommend if you want a "farmhouse" look without the front frame piece!